Oh hey! So a lot has changed. I feel like my personal style is something that I have been changing a lot too. A lot more simple is what I prefer. So this look has been kinda what I have been wearing pretty much like everyday. Matt bought me these nikes, and I cannot stop wearing them! Not only are they super comfortable but I feel like they are so chic! What I usually do is just wear yoga pants with a top and call it good. You might call it too simple, but I call it my uniform. 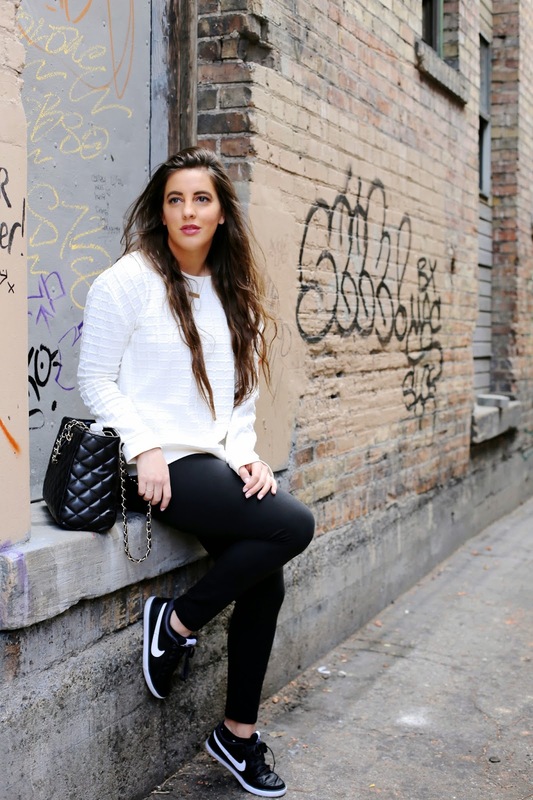 I'm seriously trying to incorporate sneakers more into my wardrobe, you look so effortless and comfortable in yours!